Last Updated: February 21, 2009. This will be the last update of this list for now, but I will revisit it in several months again. I was wondering what the top patent blogs were so to inject some sense of objectivity I did some search using Technorati, which was not as easy as I had anticipated. While Technorati is the leading blog search engine and most comprehensive source of information on the blogosphere, it is not exactly easy to figure out what the top blogs are in any given area. For example, there are a lot of blogs that write occasionally about patents, but that does not make them a patent blog (at least in my opinion). Additionally, not all patent blogs have identified themselves by using the tag “patent”, “patents” or “uspto” in the Technorati description section. 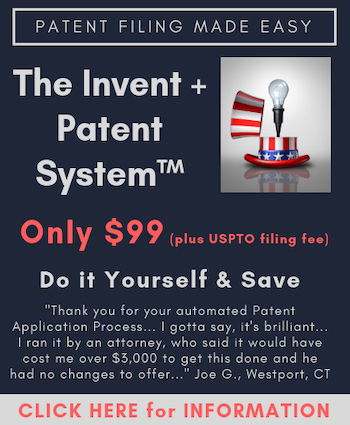 I did go through all blogs using the tags “patent”, “patents” or “uspto,” and did some additional digging and checking to try and capture as many as I could find that are true patent blogs. After eliminating blogs that only occasionally discussed patent matters, and cutting off this “top list” at blogs within the top 1 million on Technorati, I was left with 25 blogs. Technorati Rank is based upon Technorati Authority. Technorati Authority is the number of blogs linking to another blog within the last six months. The blog with the highest Technorati Authority is the #1 ranked blog. According to the State of the Blogosphere 2008, there are over 133 million blogs indexed by Technorait, so all of the blogs listed below are easily within the top 1% of all blogs indexed by Technorati. If you have a patent blog in the top 1 million blogs on Technorati send me an e-mail and I will update the list. UPDATED February 13, 2009 to add PHOSITA, so now we are up to 26 patent blogs in the top 1 million on Technorati. UPDATED February 19, 2009 to add BlawgIT, so now we are up to 27 patent blogs in the top 1 million on Technorati. UPDATED February 21, 2009 to add IPJUR, so now we are up to 28 patent blogs in the top 1 million on Technorati. Where is the IPKat on this list!!!!!???? Bemused – the most important European IPblog is missing: the IPKat. How accurate is your list please???? Mea culpa on not including IPKat. I can say that the list is accurate given the way I went about creating the list, as described in the article. I was rather amazed that it was not easier to find blogs for a certain category through Technorati. In any event, I am not happy with the list and I am trying to figure out ways to come up with a better list. I am thinking about opening nominations so that anyone can suggest a blog. Then from those nominated I can get the Technorati ranking. Given that Technorati ranking can be manipulated to at least some extent I am thinking about then also including a polling feature as well. I would appreciate any thoughts anyone has. Given that Technorati authority is good for 6 months it seems appropriate to try and create a bi-annual list. Given that this first list was somewhat compromised I am preparing to do this again shortly.